Wow, look at all the detail in this hand beaded horse barette! 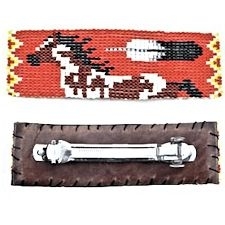 Size 11/0 Cz seed beads in black, white, brown, grey, and yellow depict a running pinto horse and an eagle feather against a red background. Hand stitched soft leather backing with french metal clip. 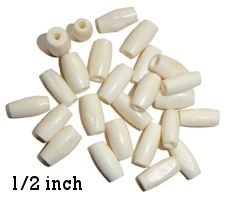 Approximately 4.2" long x 1.4" wide.